It seems that Bowser has stolen some important objects from the greatest figures in history. 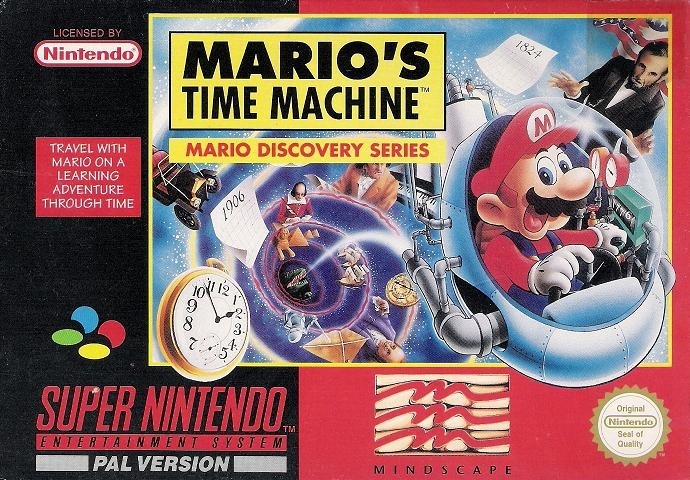 It is up to you and Mario to use a time machine and reclaim the objects. You'll have to visit Cleopatra, Plato, and Thomas Edison, just to name a few. Once you locate an object, return it to the appropriate person so that he or she might inspire the world. 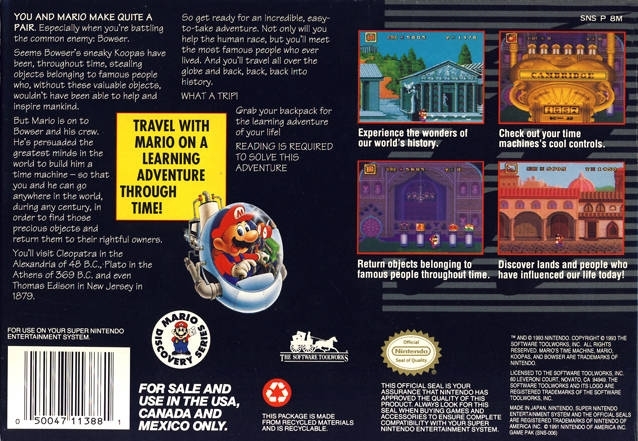 Travel around the globe and through time to keep history moving smoothly in MARIO'S TIME MACHINE. i actually finished this game. It was a bit of a torturing experience.